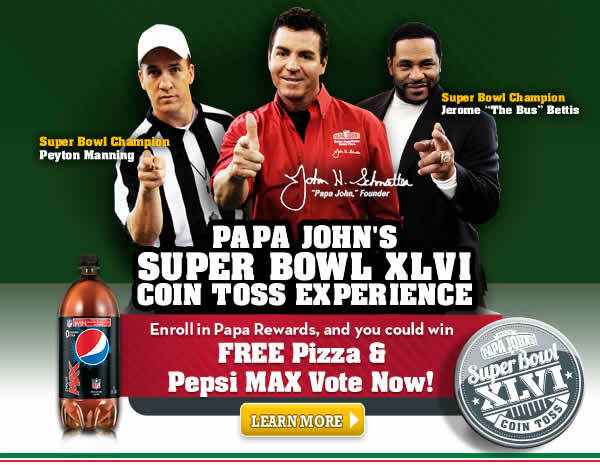 Score big today as all Central Ohio Papa John’s locations, are offering a Large THIN crust Pepperoni Pizza for only $4 when you purchase ANY pizza at regular menu price. The offer is available online using promo code: 4bucks or at all participating Central Ohio locations. Papa John’s Of Central Ohio Celebrates The Buckeyes In The Final Four! 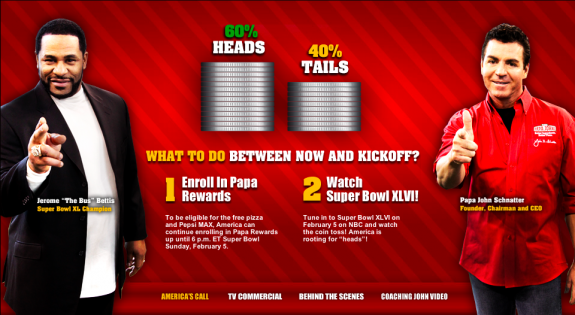 Score big this weekend as all Central Ohio Papa John’s locations celebrate the Buckeyes in The Final Four. This weekend only, Papa John’s is offering a Large THIN crust Pepperoni Pizza for only $4 when you purchase ANY pizza at regular menu price. The offer is available March 31st-April 2nd online using promo code: 4bucks or at all participating Central Ohio locations. 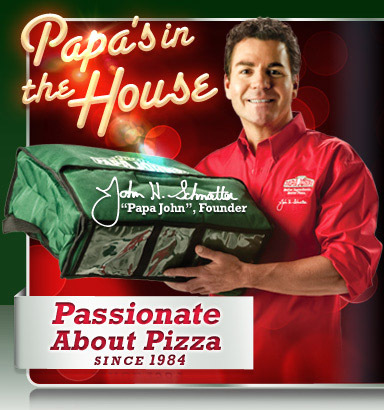 Papa John’s Of Central Ohio Celebrates Their 20th Anniversary! 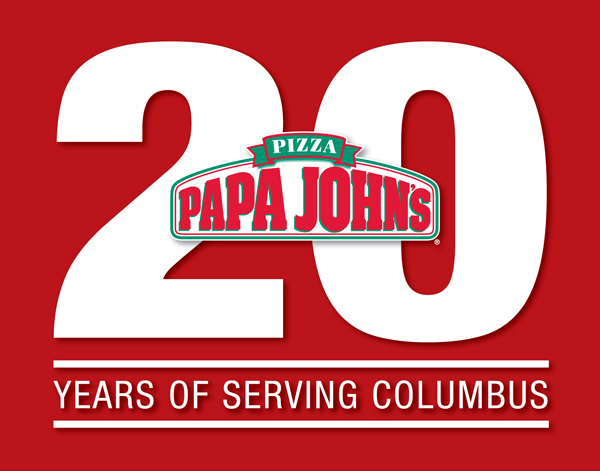 The Central Ohio Papa John’s team is excited to be celebrating their 20thh Anniversary in Columbus. Allen Hertzman, the founder of the franchise group Johncol, Inc. opened his first Columbus restaurant in late December of 1991 on Bethel Road. The team still owns, operates, and is headquartered in the same plaza on Bethel Road today. To celebrate their 20th year of service in Columbus and to thank their loyal customers all local Papa John’s are offering a 20¢ Large One Topping Pizza with the purchase of ANY Specialty Pizza at Regular Menu Price online only through March 25th with promo code 20years online at papajohns.com. Cupid must be thrilled! He has more than just arrows at his disposal this Valentine’s Day to help in the romance department as Papa John’s heart-shaped pizza makes its return. Available February 10 through 14, couples and loved ones can turn the heat up on Valentine’s Day with a themed pizza that has become as much a Valentine’s Day tradition as the cherub of love. 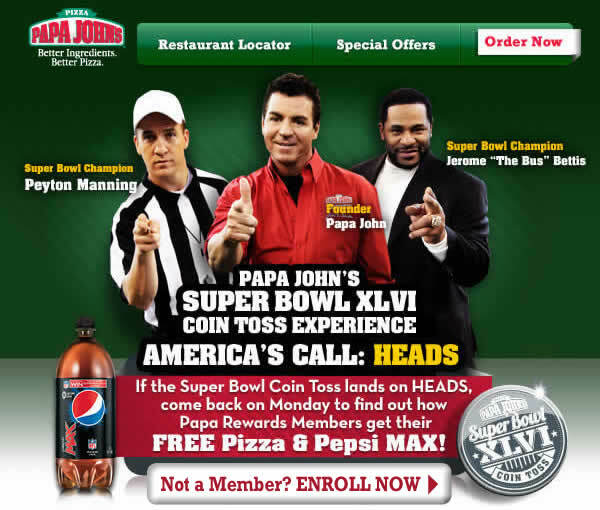 Papa John’s Heart-Shaped pizza has become a popular seasonal request, signifying a trend that many consumers continue to forgo the fancy Valentine’s Day dinner to spend quality time at home with significant others, friends and family. Papa John’s has 23 restaurants in Central Ohio and this week only we’re also celebrating our sweeter side with your choice of either our Large Ultimate Double Pepperoni or Tuscan Six Cheese Pizza and a Cinnapie for only $11.99.